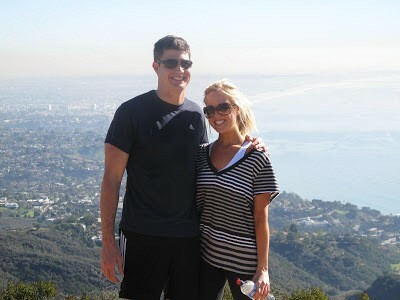 If you are looking for scenic overlooks of Santa Monica, Malibu, and even downtown Los Angeles, then this is your hike! This Los Angeles 5-mile roundtrip hike starts on the outskirts of the Santa Monica city limits and goes behind the hills surrounding the Getty Villa (although you’re too high above the hills to see any of the art collection). 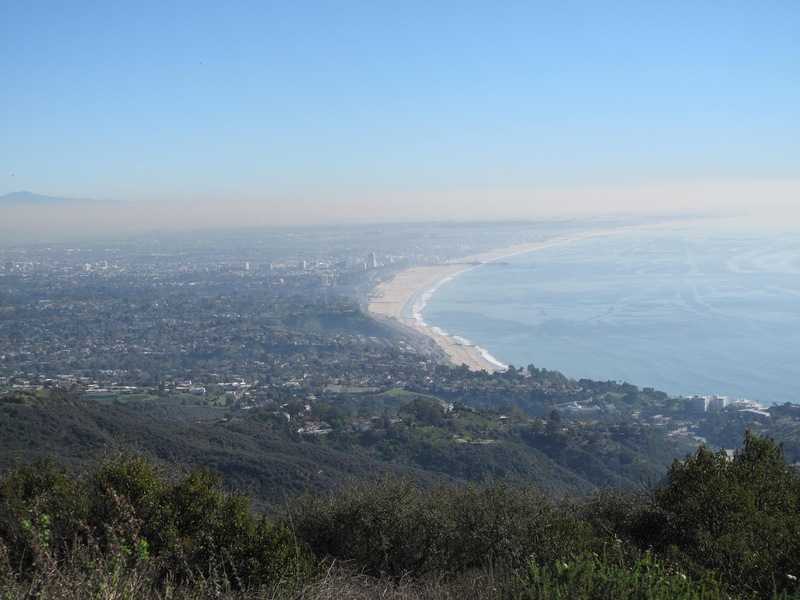 From a challenging uphill to scenic coastal views of the Pacific Ocean and Topanga Canyon from the peak, this hike offers a fun terrain with a beautiful coast backdrop. 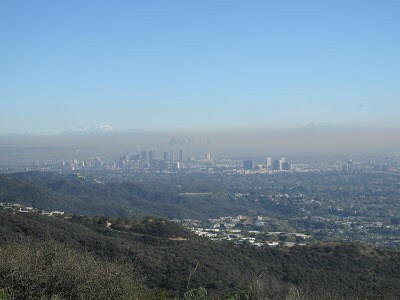 Although Topanga Canyon hikes have become very popular, we still enjoyed this Los Angeles hike for its panoramic views. If you are looking to try a hike in LA, are new to hiking, or you don’t want to drive all the way into Malibu, this is a fun one to enjoy. Turn right onto Resolano Dr. Morning: It can be a little challenging to find parking along the streets near the trailhead, so we recommend going early in the AM, especially in the summer when the temps are higher. Spring/Fall/Winter: Although the hike can be enjoyed year-round, the summer months can be very hot and crowded. Hikers enjoying the scenic overlook. Views of Santa Monica and the Pacific Ocean from the overlook. No, only service dogs allowed.